And that process began very early. In Kids These Days: Human Capital and the Making of Millennials, Malcolm Harris lays out the myriad ways in which our generation has been trained, tailored, primed, and optimized for the workplace — first in school, then through secondary education — starting as very young children. “Risk management used to be a business practice,” Harris writes, “now it’s our dominant child-reading strategy.” Depending on your age, this idea applies to what our parents did or didn’t allow us to do (play on “dangerous” playground structures, go out without cellphones, drive without an adult in the car) and how they allowed us to do the things we did do (learn, explore, eat, play). Harris points to practices that we now see as standard as a means of “optimizing” children’s play, an attitude often described as “intensive parenting.” Running around the neighborhood has become supervised playdates. Unstructured daycare has become pre-preschool. Neighborhood Kick the Can or pickup games have transformed into highly regulated organized league play that spans the year. Unchanneled energy (diagnosed as hyperactivity) became medicated and disciplined. It wasn’t until after college that I began to see the results of those attitudes in action. Four years post-graduation, alumni would complain that the school had filled with nerds: No one even parties on a Tuesday! I laughed at the eternal refrain — These younger kids, what dorks, we were way cooler — but not until I returned to campus years later as a professor did I realize just how fundamentally different those students’ orientation to school was. There were still obnoxious frat boys and fancy sorority girls, but they were far more studious than my peers had been. They skipped fewer classes. They religiously attended office hours. They emailed at all hours. But they were also anxious grade grubbers, paralyzed at the thought of graduating, and regularly stymied by assignments that called for creativity. They’d been guided closely all their lives, and they wanted me to guide them as well. They were, in a word, scared. On the surface, it did work out. The economy recovered. Most of us moved out of our parents’ houses. We found jobs. But what we couldn’t find was financial security. Because education — grad school, undergrad, vocational school, online — was situated as the best and only way to survive, many of us emerged from those programs with loan payments that our post-graduation prospects failed to offset. The situation was even more dire if you entered a for-profit school, where the average total debt for a four-year degree is $39,950 and the job prospects post-graduation are even bleaker. So we took those loans, with the assurance from the federal government that if, after graduation, we went to a public service field (such as teaching at a college or university) and paid a percentage of our loans on time for 10 years, the rest would be forgiven. Last year — the first in which eligible graduates could apply for forgiveness — just 1% applications were accepted. People patching together a retail job with unpredictable scheduling while driving Uber and arranging childcare have burnout. Startup workers with fancy catered lunches, free laundry service, and 70-minute commutes have burnout. Academics teaching four adjunct classes and surviving on food stamps while trying to publish research in one last attempt at snagging a tenure-track job have burnout. Freelance graphic artists operating on their own schedule without health care or paid time off have burnout. 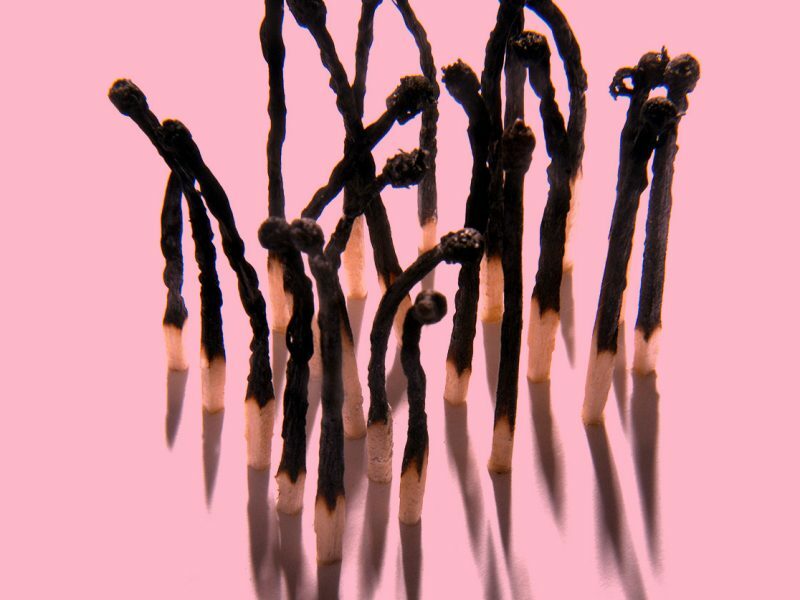 Millennial burnout often works differently among women, and particularly straight women with families. Part of this has to do with what’s known as “the second shift” — the idea that women who’ve moved into the workplace do the labor of a job and then come home and perform the labor of a housewife. (A recent study found that mothers in the workplace spend just as much time taking care of their children as stay-at-home mothers did in 1975). One might think that when women work, the domestic labor decreases, or splits between both partners. But sociologist Judy Wajcman found that in heterosexual couples, that simply wasn’t the case: Less domestic labor takes place overall, but that labor still largely falls on the woman.